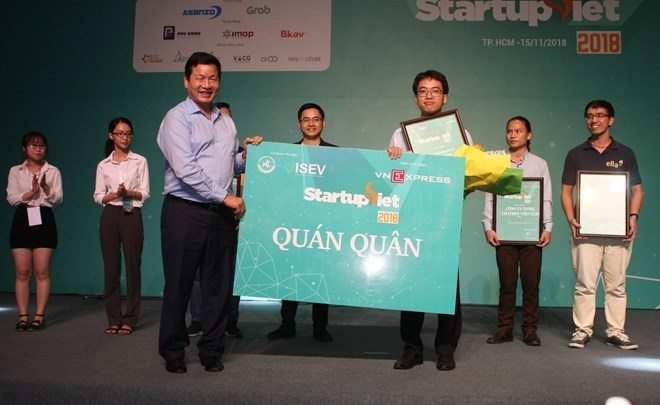 The automatic multi-channel selling project PowerSell has won the first prize of the “Startup Viet 2018”, an annual program selecting the best startups in Vietnam. A ceremony to honor outstanding startups was held by online newspaper VnExpress.net in Ho Chi Minh City on November 15. 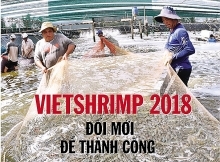 The five shortlisted projects were chosen from more than 400 entries in the “Startup Viet 2018” program. The winner, PowerSell of the Datamart Vietnam Co. Ltd, provides an automatic multi-channel selling solution using big data analytics and artificial intelligence technology to support sellers on e-commerce platforms like Lazada, Shopee, Sendo, Haravan and Zalo. A year after its debut, PowerSell now supports 4,000 sellers with 35,000 orders a day, and it plans to expand across Southeast Asia. Organizers said the “Startup Viet 2018”, organized by the Ministry of Science and Technology (MoST), aims to seek and nurture outstanding startups to help promote entrepreneurship. The program attracted entries from diverse areas like commerce, real estate, services, healthcare and education. It created a chance for startups to share ideas with one another as well as experts, advisors and investors, thereby forming mutual supporting relations. Director of the MoST’s agency in the southern region Pham Xuan Da said the ministry pledges to be a companion to young businesses, especially by making favorable policies and helping them raise capital, to help build a strong startup community in Vietnam.